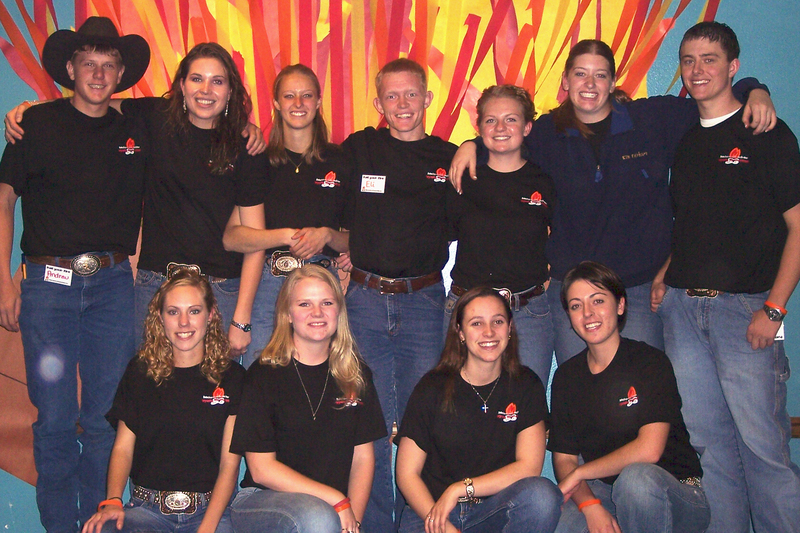 Friends for Life: The 2005-2006 Wyoming State FFA Officer Team. Back Row: Eli Lilley, Lander Nicodemus, Laura Nelson and Kassi Bauman. Front Row: Liz LeSatz (Lauck), Jessie Berry (Dafoe), Kalee Craig (Goolsbey), Amy Tullis (Houser) and Kindra Rader. 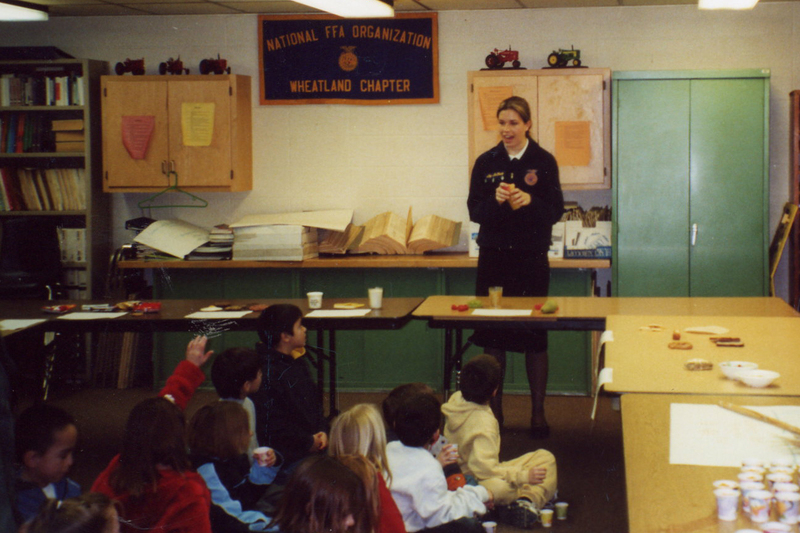 The nation has been celebrating National FFA Week this week and it has brought back a flood of memories of the people, places, experiences and blue corduroy that FFA exposed me to! “‘Future Farmers of America’ was founded by a group of young farmers back in 1928. Their mission was to prepare future generations for the challenges of feeding a growing population. They taught us that agriculture is more than planting and harvesting– it’s a science, it’s a business and it’s an art. There are 557,318 FFA members, aged 12‒21, in 7,498 chapters in all 50 states, Puerto Rico and the U.S. Virgin Islands. I am a former member of the Wheatland (Wyoming) FFA Chapter and a proud former Wyoming State FFA Officer (05-06). I have lots of friends who are also proud FFA members and alumni and they’ve been posting lots of fun photos of their time in FFA on Facebook this week. There may, or may not, be a picture of me in the trunk of a car. Don’t ask me why. The point is, National FFA Week is a great time for members and alumni to reflect on the lessons, experiences and fun FFA provides. 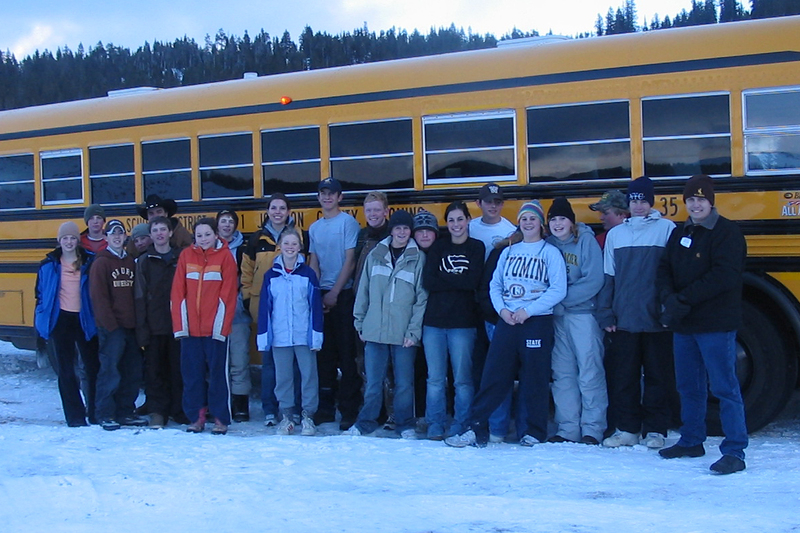 I was a shy kid and FFA helped me break out of my shell. 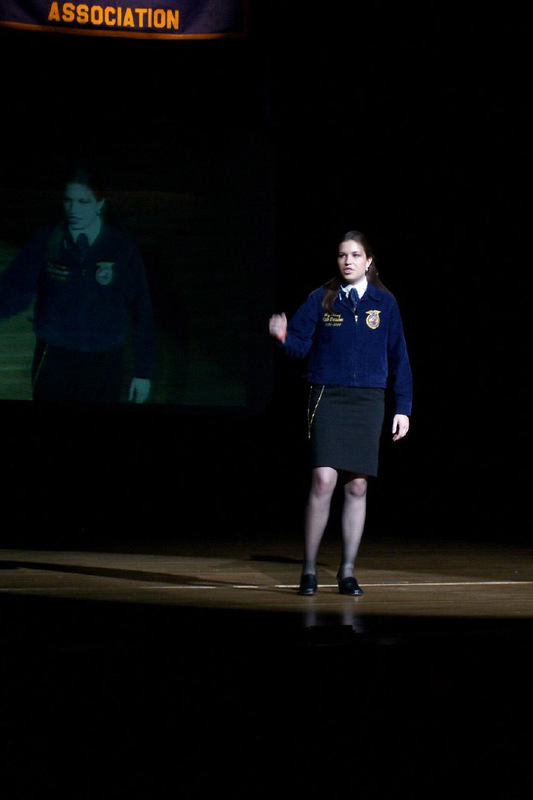 I wanted to make a positive impact on the ag industry and FFA helped me start. 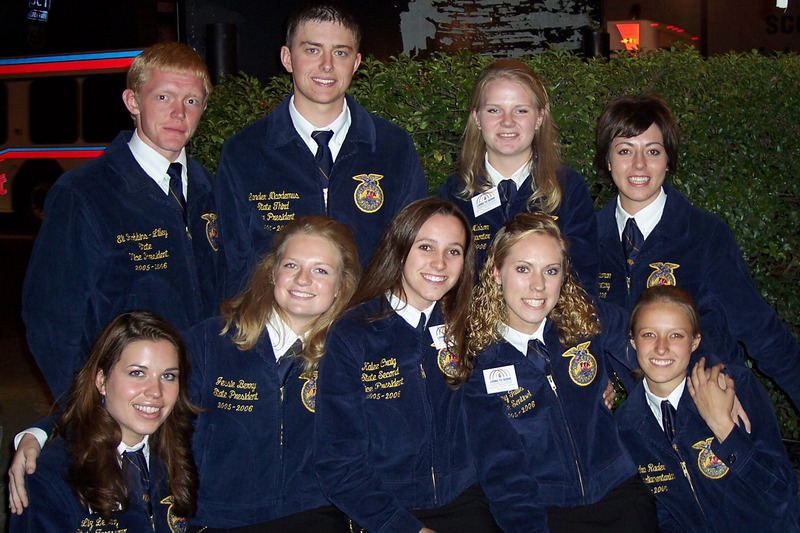 I wanted to make great connections and FFA provided me with lifelong friends. A visit to the Buffalo FFA Chapter during my State Officer year. A fun time at the annual FIRE Conference (a Wyoming FFA leadership conference). So share the love! 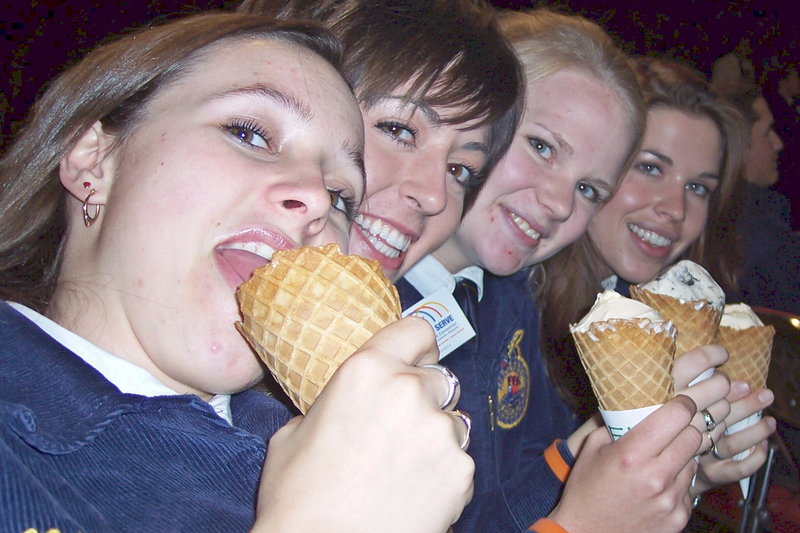 Tell us your FFA memories, stories and share your photos here in our comments section or on the RealRanchers.com Facebook Page. We’d love to hear how being a Future Farmer of America changed and shaped your lives. And remember, just because you’re a “has-been” doesn’t mean you can’t be a part of FFA. Mentor a local FFA member, help with a local FFA Career Development Event team (judging, marketing, speaking, etc. ), help with fundraisers for local chapters, join an alumni association or give to your state FFA Foundation. From RealFarmer Liz Lauck – Wheatland, Wyo. While we celebrate National FFA Week, we also mourn the loss of Wyoming State FFA Officer Teddy Weekly. Teddy was killed in a car accident on Feb. 18. In true FFA Family fashion, there has been an outpouring of prayers, love and support for Teddy’s friends, family and teammates. If you’d like to share your thoughts and memories about Teddy or learn more about the memorial service, go to the Wyoming FFA Association Facebook Page.